Discover ways to support indigenous sovereignty and grassroots environmental protection movements in Canada and elsewhere. Raise awareness! Share information, show a film, or arrange for a speaker about mining justice at local conferences, forums and public events, or in your community, workplace, local libraries or school, etc. Send a letter to the editors of local papers; call radio or TV phone-in shows; write an article for your organization or association newsletter, or your local community paper. Contact us for help! Advocate! Work with your friends, neighbours, unions or associations to demand pension reforms, lobby politicians, and build support for legislation that would hold Canadian corporations accountable. Divest! Withdraw your own investments in harmful extractive projects. Demand full, public, and ethical funding for local arts and culture, education, health, and social welfare programs, and reject ‘goldwash’ or ‘greenwash’ funding from companies that engage in mega-extraction. Investment activism! When you participate in protests and campaigns against a harmful extractive project, you discourage investment by creating a climate of uncertainty and financial ‘risk’. Get in touch! 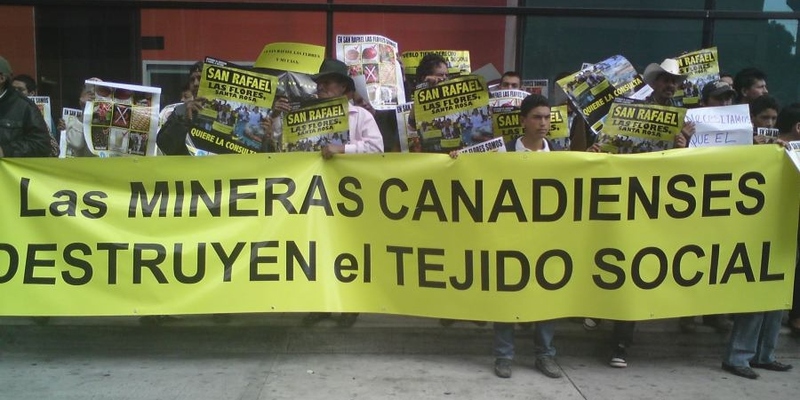 The Vancouver-based Mining Justice Alliance (MJA) welcomes members and allies with creative ideas to end mining injustice and support the self-determination of mining-affected communities. Contact us! via email, twitter, or facebook.